NASA Electrical Engineer Frank Nola invented a electronic motor control technology known as the Nola Controller in the late 1970’s which is employed in spacecraft and tens of millions of applications daily back here on planet Earth. Some consider Frank Nola a true genius for inventing the algorithm behind a devise which delivers the optimum amount of energy to electrical motors, but not the EPA. The EPA considers the Nola Controller nothing more than Black Box technology, which the high priests at the temple of government innovation long ago declared to be bad JuJu. Unworthy of the attention of the “non-profit” scientist producing cost-effective products for the ENERGY STAR brand. Nola’s invention was such a threat to government ‘certified’ energy efficiency that it was literally banned from use in America’s industrial sector, the largest electrical market on the the planet. Why was there no love available for Nola’s creation? Money, really big money! “If it’s not ENERGY STAR, it’s not energy efficient” wasn’t just the motto for the EPA, it has been the central theme of a federal initiative known as Market Transformation since 1992. The EPA claims that ENERGY STAR brand of ‘certified’ energy efficiency has saved over $430 billion dollars, but has never been able to explain how their certified products allegedly save 25-50% more electrical energy than other identical products. Only the EPA could make such a delusional claim, because only the EPA processes the secret science behind their multi-billion dollar commodity. Hundreds of billions of dollars were supposedly generated by EPA’s unique commodity, but try to find a single news report, government study or any evidence to support those claims. There is none. A fact well known to mainstream media, academics and environmental activist which have been the primary beneficiaries from the magical properties of ENERGY STAR. Vast fortunes were made by marketing ENERGY STAR brand as a global leader in energy efficiency, not from any actual energy-savings produced by ENERGY STAR products. 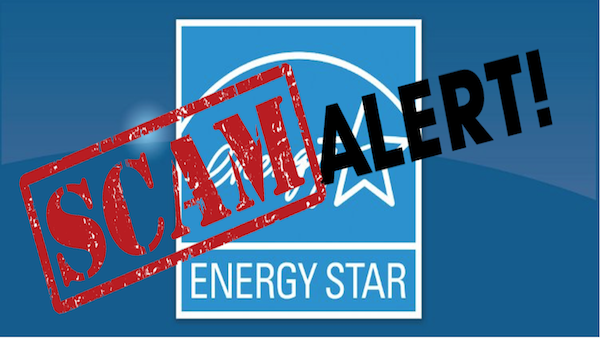 There has never been a National Standard for the measurement and verification of energy-savings in electrical technologies and products, yet lawyers somehow crafted rules mandating the exclusive use of ENERGY STAR by the government in the United States. Canada, Japan, Taiwan, New Zealand, Australia, Switzerland and the entire European Community also decided to mandate the use of EPA’s superior brand, making ‘certified’ government energy efficiency into the most lucrative commodity on the planet. EPA’s superior brand of energy efficiency represented the single largest and most expensive component in Obama’s Clean Power Plan, a fact never included in debate heard before the US Supreme Court. It was also the key feature in Obama’s Save Energy Now program pushing for $100 Billion in energy efficiency investments in the industrial sector, but is only available to EPA partners. Like all of EPA’s multi-billion dollar programs, the general public has never been allowed to learn about EPA efforts to bring government energy efficiency to America’s industrial sector. The Save Energy Now boondoggle had 24 universities providing ‘free’ energy audits at the industrial facilities of large corporations in partnerships with the EPA, and claiming their audits produced billions of dollars in savings which had been missed or intentionally overlooked by real engineers and plant managers. A concept so delusional as to defy all logic, yet excepted without question by your government. This is part of the Settled Science nobody wants to talk about, and for good reason. President Trump recently announced the ‘close out’ of the ENERGY STAR program, which effectively ends the mandate requiring government to purchase only ENERGY STAR products and services from EPA partners. Opening up a trillion dollar market for American businesses to market products and services directly to our government, the largest procurement agency in the world. This is a secret worth keeping if you’re member of the EPA Billionaires Club or the Media Foundations raking in billions of taxpayer dollars through non-profit organizations, whose revenue is dependent of promoting the bogus energy-savings of EPA that appear to exist only in the minds of the political elites. If EPA can claim to have saved hundreds of billions of dollars without ever identifying a single technology installed, imagine how much money could really be saved through the actual installation of real technologies by professionals with license to engage in the electrical industry. If you’re into jobs and wealth creation, here is a topic worthy of a sober conversation. The Nola Controller technology has been updated with a Digital Signal Processor, increasing the performance of its soft start features and the ability to integrate with wireless applications and participate in a wide variety of utility load-shedding and Time of Use programs of value to industrial customers. Making it one of the advanced technologies on the planet for industrial customers, and a major threat to radical professors promoting 1960’s era ideologies as cutting-edge technologies on campuses across America. Now that the Trump Administration has ended the corrupt ENERGY STAR program and mandate, will government finally lift the ban on Nola’s invention and other advanced technologies that could actually benefit manufacturing and production operations? Thousands of highly-paid professionals in the electrical field could immediately begin treating motor loads in place, saving hundreds of billions in electric bills annually for manufacturers, which in turn would relieve stress from our ‘crumbling’ electrical gird system. A win, win, win scenario for America. This is not some pipe dream, it is exactly what the EPA has been promising for decades and failing to deliver. Former President Obama promised skyrocketing electric rates under his energy plan, and we shouldn’t act surprised by his efforts to fulfill this promise. It was precisely the results EPA expected from the adoption of the ENERGY STAR brand of ‘certified’ energy efficiency, and the main reason for the media ‘blackout’ on news related to the ENERGY STAR program for the last twenty-five years.